Spring is a poignant time in labor history. March 25, 1911 remembers 146 workers, mostly women, lost in the Triangle Shirtwaist Factory fire. April 16 mourns Ireland's Easter Rising of slain Feinians. April 28 marks Workers' Memorial Day, on which the organized labor movement pays tribute to the fallen in workplace accidents or in organized labor struggles. May 1 is May Day, honoring International Workers' Day. May 4 commemorates casualties at Chicago's Haymarket riot at a 1886 labor rally. May 19, 1920 is a day when the organized labor movement grieves the Matewan and Mingo County massacre of coal miners. On May 26, 1937 those who would from unions were assaulted at Ford's River Rouge plant "Battle of the Overpass" in Detroit. Organized labor history is taught as part of American history, but there is no American (or world) history without labor history. Unions, collective bargaining--the fight for workers' rights impact every industry, occupation and person. Teachers and homeschoolers, you can educate students about unions with these free printable May Day and labor history lesson plans. These links include websites, activities, worksheets, movies and books on the organized labor movement. The American Labor Studies Center offers a gamut of free printable organized labor movement lesson plans. It covers history, events, strikes, lockouts, workplace injuries, child labor, working conditions, collective bargaining, 8-hour workday, sweatshops, slavery, organizing, indentured servitude, socialism and labor, women's rights, African American labor issues, minority discrimination concerns, ULP (unfair labor practices). Lessons cover the Triangle fire (the worst workplace accident in history), West Virginia labor, Pullman Strike (1894), Lawrence Textile Strike (1913), Lowell Strike, Paterson Silk Strike, agriculture strikes and other events. Get free printable union labor worksheets, fill-ins, puzzles and study guides. There are links to films and books. Modern Heroes of the American Labor Movement explores famous labor leaders: Noam Chomsky, Joe Hill, "Big Bill" Haywood, Pete Seeger, Jimmy Hoffa, Caesar Chavez, the Wisconsin 14 and others from the IWW (Industrial Workers of the World), AFL-CIO, Teamsters and more. Here's another list ofbiographies of union organizers. This site has biographies of women labor leaders including Elizabeth Gurley Flynn Mary Harris "Mother" Jones and more. To use in lessons, print the list of names on one side and short bios on the other side (mixed up). Students match person with details. Print photos and pin to a map at places they are associated with. Or make a time line along the wall. Plot images in history. The National Endowment for the Humanities offers two companion lessons in its series The Industrial Age in America. "Sweatshops, Steel Mills and Factories" and "Robber Barons and Captains of Industry" define the problems faced by workers in labor history and the reasons for the organized labor movement. Use the worksheets and activities with middle school and high school students. The Walter P. Reuther Library of Labor and Urban Affairs at Wayne State University in Detroit maintains the largest organized labor history archive in the U.S. It has an impressive collection of images in physical exhibits and digital archives on The Labor Movement and Organizations. It also maintains a labor history document base. The library is named for the leaders of UAW (United Auto Workers) and CIO (Congress of Industrial Organizations) unions Walter Reuther who was one of several injured at Ford's Rouge factory "Battle of the Overpass" in Detroit. The United Farm Workers is the union begun by Cesar Chavez that tends to itinerant and agricultural labor issues. Along with labor movement, the UFW educates people about food safety, immigration, deportation, earth and green initiatives, pesticides and more. An important piece is the youth activism page. UFW seeks to take union and agricultural awareness beyond the classroom walls and into real life. 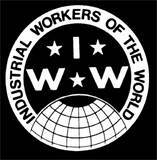 The Wobblies is a documentary about the IWW (the Industrial Workers of the World). The IWW is a world-wide union that seeks to organize all workers regardless of occupation. This authoritative video is engaging and covers a broad labor perspective. It helps students understand the differences between business, trade and collective unions. The IWW honors May Day as the real Labor Day. In honor of May Day, here's a quote from the Albert Shanker Institute. "Imagine opening a high school U.S. history textbook and finding no mention of-or at most a passing sentence about-Valley Forge, the Missouri Compromise...Benjamin Franklin, Lewis and Clark. Imagine if these key events and people just disappeared as if they'd never existed...That is what has happened in history textbooks when it comes to labor's part in the American story." Use these lesson plans to keep the May Day stories and message alive.